Coming December 4th, 2018 - Preorder Now! From the bestselling author of Pretty Girls Dancing comes a shattering serial-killer thriller about revenge, deliverance, and survival. 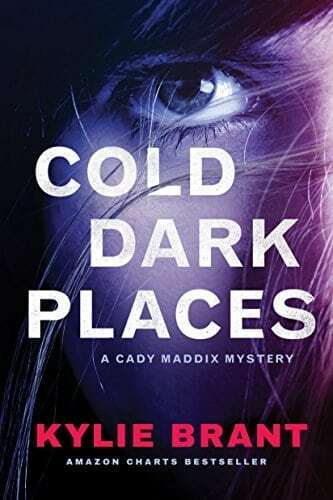 Cady Maddix survived a brutal upbringing—emotionally scarred but hardened—with a will for self-preservation. Hunting fugitives has given her life purpose and control. But when the Deputy US Marshal returns home to care for her Alzheimer’s-stricken mother, a new case stirs old memories. Child killer Samuel Aldeen has broken out of a nearby facility for the criminally insane, and the authorities believe he was aided by accomplices, both inside and out. Enlisted to track him down, Cady follows an unexpected lead. Her name is Eryn Pullman, a young woman recently released from a neighboring psychiatric facility, a mentally fragile survivor of childhood abuse, and Aldeen’s next designated victim. To save Eryn’s life, Cady must work fast to uncover the unimaginable link between predator and prey—even as it pulls her into the cold dark places of her own past.